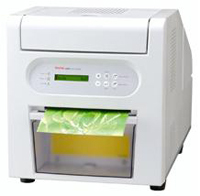 Kodak 605 Photo Printer Software Driver, Calibration Application and Firmware for Operating Systems. This firmware version improves ribbon and paper transport. Use the test profile to verify that the selected settings use the correct color profile for the KODAK Photo Printer 605 .
, and filed under Printer Drivers and tagged calibration application, color profile, download, firmware, kodak, kodak 605 driver, kodak 605 firmware, kodak 605 software, photo, photo printer, printer, windows.